This has been created for the Stampotique Designers Challenge #256 - Mail Art. Among my pile of Gelli prints was this one made using a frame I had cut and never used. I thought it made a great stencil and had used it twice on the print using two different colours. 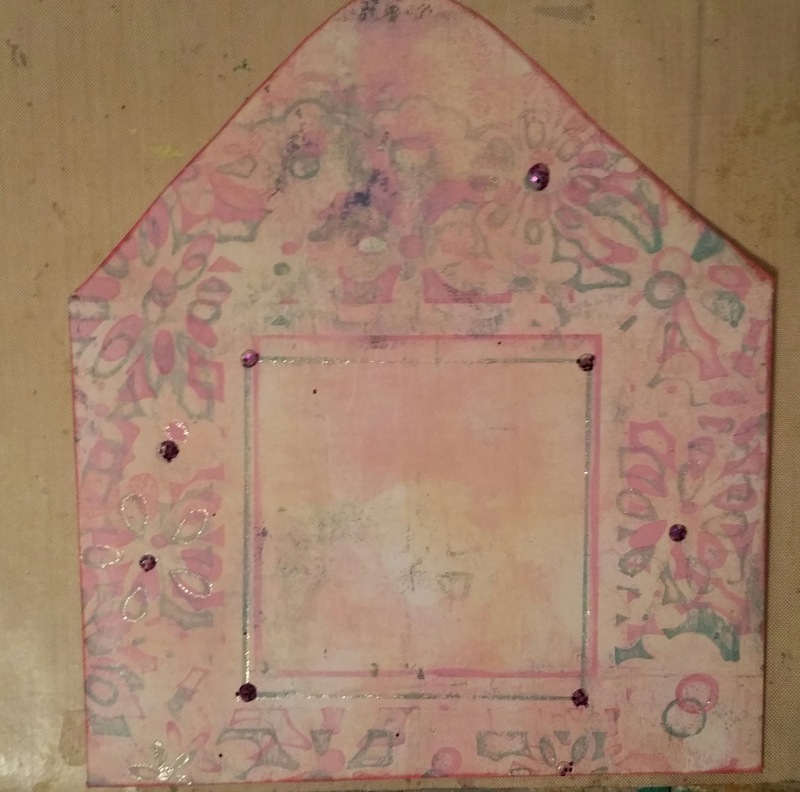 The centre of the frame made it ideal for this mail art project and with a bit of fiddling around I was able to use the whole sheet and assemble and envelope. I was pretty happy with how it looked so just added some Sakura glitter pens and Mod Podge Glitter Dimensional Magic. 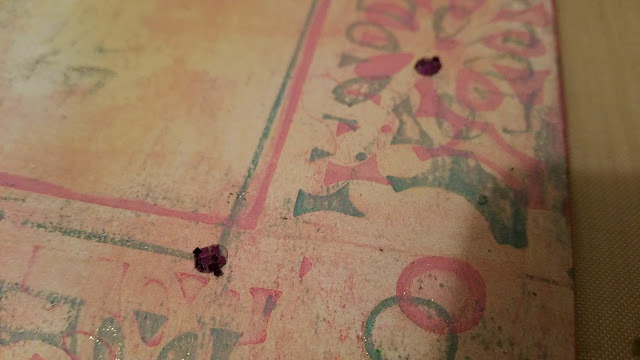 The glitter tends to sink to the bottom, which is a problem as you're not supposed to shake it, so I sprinkled on some extra purple glitter. This is fabulous! I love the color palette and the shabby chic feel! That is a lovely envelope. Imagine somebody's smile when they get that in their mailbox. Thank you for joining us at the SDC for the mail art challenge.